25 mm armoured cable is the one size of armoured cable, which its cross section is 25mm. We often use it in the transformer, the electrical supply, the building and other suitable place. As a normal armoured cable, the direct burial is the normal installation way. You can use it directly. Huadong Cable Group can give you low 25mm armoured cable price. the only thing you should do is to contact us, and we will send our 25mm armoured cable quotation for you. Email: sales@hdarmouredcable.com. What should pay attention to in install low price 25 mm armoured cable? We often use 25mm2 armoured cable underground. There are one thing you should pay attention , that is you should install the 25 mm armoured cable in the conduit. Although the 25 mm armoured cable is very tough, it also can be damage easily. Therefore we will add a conduit as a protection. By the way, the conduit can prevent 12mm armoured cable from moisture. Some workers may don’s use it for convenient, but it won’t save time and money once something happened. Email: sales@hdarmouredcable.com. What can huadong do for you? We are a professional 25mm2 armoured cable in China, and we export 25mm armoured cable for may years. This year, our new 25mm armoured cable have been producing. 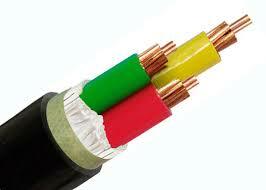 What we can give you are a cheap 25mm armoured cable price, and one hundred percent high quality prove. From the start of the our first business, we have determine our principles. They are quality first, customer first and safety first. We pursuit to provide better service and delivery 25 mm armoured cable fast. So you never worry about the delivery. If you take 25mm2 armoured cable order, prove to delivery within delivery date. We are with honesty and profession to achieve equal and mutual benefit. Let’s start on low price 25mm armoured cable first. Email: sales@hdarmouredcable.com.